The North American International Auto Show is always busy for Ford, but this year the American automaker took it a step further by unveiling and/or confirming two very important models while also making significant changes to the Ford F-150, Canada’s best-selling vehicle. We have been talking about the Ford Bronco now for a while, but we weren’t quite sure it would actually ever make it to production. Well, consider that mystery solved as Ford confirmed that an all-new, all-rugged Ford Bronco sport utility vehicle will be launched in 2020. Of course, very little information is available about the new Bronco, but when Ford says it will do something, they usually do it. Expect a Jeep Wrangler competitor with a muscular build and impressive off-road capabilities. A few EcoBoost engines will probably find their way under the hood of the next Ford Bronco. The last production Bronco dates back to 1996, so there’s no question Ford fans have been waiting a long time. Their patience is now rewarded. The Ford Ranger midsize pickup hasn’t been gone as long as the Bronco, but the popular pickup is still a vehicle that Ford enthusiasts and midsize pickup buyers everywhere have been wanting to see come back ever since it left the market back in 2012. The all-new next-generation Ford Ranger will hit the market sometime in 2019. Like the Bronco, we do not have much information about the new Ford Ranger, but we should know more soon enough. The current-generation Ford F-150 has been on the market for a few years now, and even if it is still very capable and still very popular, Ford felt a few changes were needed. The new 2018 Ford F-150 gets a few slight cosmetic changes along with a suite of all-new driver assistance technologies that include automatic braking with pedestrian detection, adaptive cruise control, blind spot monitoring, lane departure prevention and more. 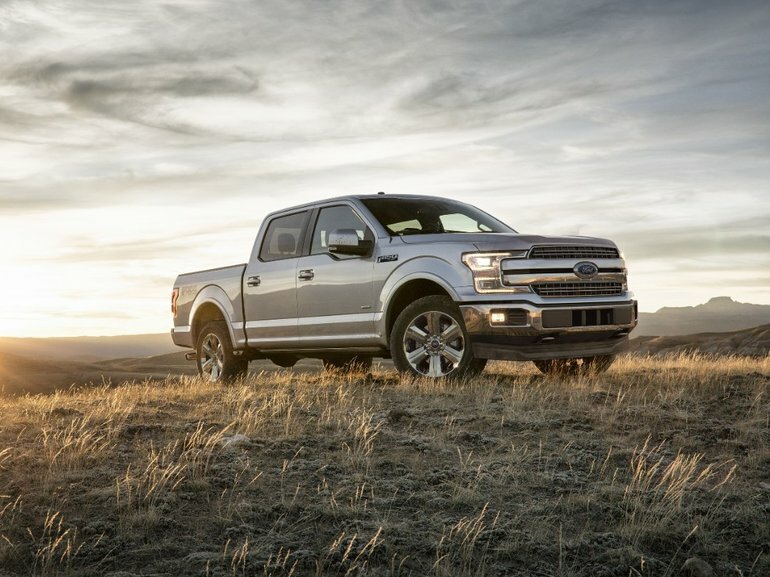 Many of these technologies are exclusive to the 2018 Ford F-150 in the full-size pickup truck segment. The new F-150 also gets Wi-Fi 4G LTE connectivity. But the big news can be found under the hood where the 2018 F-150 will receive its first-ever diesel engine. The 3.0-liter Power Stroke Turbodiesel engine will be paired with a 10-speed automatic, like every other engine in the 2018 F-150 lineup. We do not know yet how much power the turbodiesel will produce, but stay tuned. Ford also announced a new 3.3-liter EcoBoost V6 engine for the 2018 Ford F-150. To learn more about the Ford lineup of new 2017 and 2018 vehicles, contact us today at Bruce Ford!